Getting that smooth, delicious cup of cold brew is easier than ever with this reusable pouch. 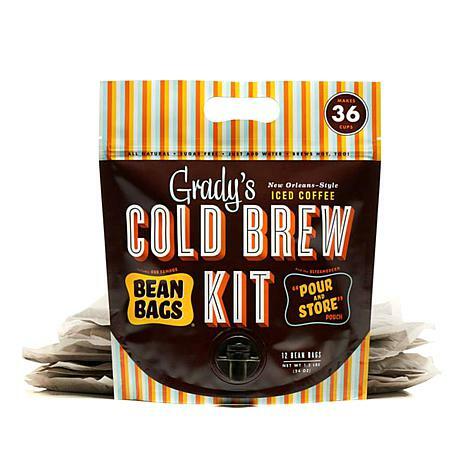 Just add water to soak the bean bags filled with New Orleans-style brew overnight, remove the bags and then dispense it straight from the fridge for up to two weeks. Skip the lines and get all the flavor — just pour, store and sip. 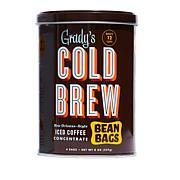 To get a decaf cold brew is nearly impossible but HSN came thru with a winner. All I did was take 2 bags, 4 cups of water and soak over night since I am the only one who drinks decaf. But you know what, no one could tell the difference. Pour 4oz of coffee with ice and add a flavored cream. I used the pure cream flavored with hazelnut. Heavenly ... Dont use artificial based flavored creams. This coffee inhances the real cream flavors. Go to Pinterest for more recipes to use this cold coffee. The taste is wonderful but the spigot did not work right and so I had to pour the extract into another container. Considering the price, this is not a good buy.